Soft goat leather for a pleasant foot climate. 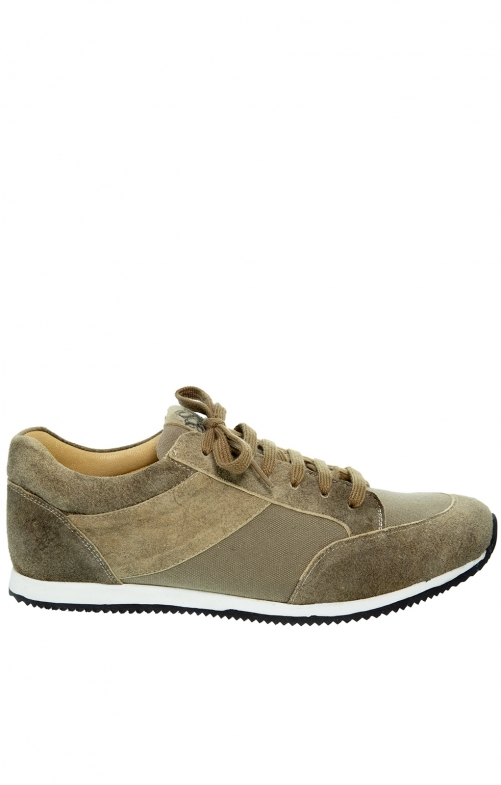 The sporty rustic traditional sneakers LUITPOLD in fennel have a white sole with black tread. The upper is a mix of textile and genuine goat leather. The closure is a lacing in the same colour. The comfortable traditional sneakers can be worn on any occasion and are suited to both rustic leather trousers and jeans.